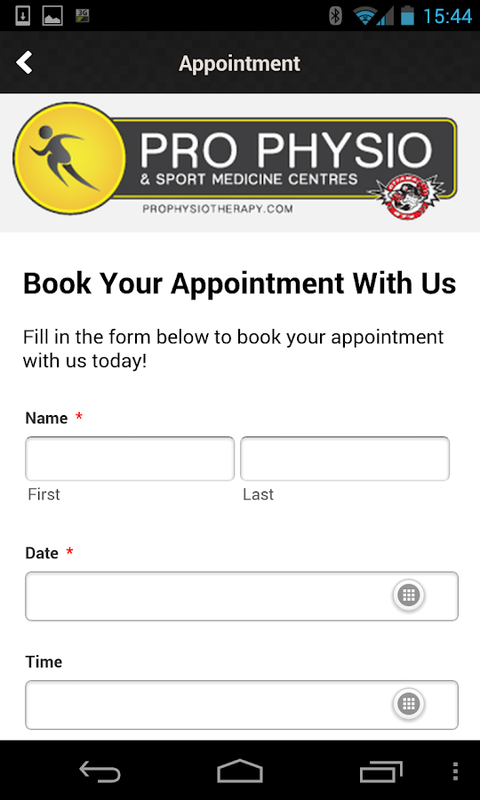 Pro Physio & Sport Medicine Centres is aleader in physiotherapy and rehabilitation in the Greater OttawaRegion. With our 23 locations, we are accessible to everyone withinthe city and surrounding areas. All of our clinics are owned byphysiotherapists and excel in providing current and courteous careto everyone who seeks physiotherapy and rehabilitation. We believein maintaining high standards that will benefit the client and arerecognized in the community and insurance industry as promoters ofpremium quality health care. Our mission statement is to provide the best physiotherapy andrehabilitation to all ages with our multi-disciplinary team that isexperienced with a variety of health care needs. Our care willencompass the present problems as well as the injury preventionmeasures. Our services will remain cost-effective and available topeople from all backgrounds. Our main goal is to guarantee optimalcare while adapting to the needs and satisfaction of our clients.We Take Pride in Taking Care. We are able to accomplish these goals by having a large, energeticteam of Health Professionals. The core members in each clinic arethe Registered Physiotherapists who update their knowledge ofcurrent and new treatments and conditions by attending numerouspost-graduate courses every year. We have physiotherapists withspecial training in sport injuries, Active Release Techniques,manual and manipulative therapy, intramuscular stimulation, andacupuncture available for the needs of clients. Working closelywith the physiotherapists are the Certified Kinesiologists andCertified Athletic Therapists for personalized exercise programs toassist return to sport. Our clinics employ many Registered MassageTherapists who are specialized to treat patients for therapeuticintervention or relaxation massage. In addition, the clinics couldnot operate efficiently without the effective contribution fromphysiotherapy assistants, accountants, and receptionists. For all your physiotherapy needs, Pro Physio & Sport MedicineCentres is the optimal source for your care. We are able to seeclients immediately with no waiting lists. For completerehabilitation, with a multi-disciplined team in one place, calltoday to find the nearest location to serve you. Pro Physio & Sport Medicine Centres is aleader in physiotherapy and rehabilitation in the Greater OttawaRegion. With our 23 locations, we are accessible to everyone withinthe city and surrounding areas. All of our clinics are owned byphysiotherapists and excel in providing current and courteous careto everyone who seeks physiotherapy and rehabilitation. We believein maintaining high standards that will benefit the client and arerecognized in the community and insurance industry as promoters ofpremium quality health care.Our mission statement is to provide the best physiotherapy andrehabilitation to all ages with our multi-disciplinary team that isexperienced with a variety of health care needs. Our care willencompass the present problems as well as the injury preventionmeasures. Our services will remain cost-effective and available topeople from all backgrounds. Our main goal is to guarantee optimalcare while adapting to the needs and satisfaction of our clients.We Take Pride in Taking Care.We are able to accomplish these goals by having a large, energeticteam of Health Professionals. The core members in each clinic arethe Registered Physiotherapists who update their knowledge ofcurrent and new treatments and conditions by attending numerouspost-graduate courses every year. We have physiotherapists withspecial training in sport injuries, Active Release Techniques,manual and manipulative therapy, intramuscular stimulation, andacupuncture available for the needs of clients. Working closelywith the physiotherapists are the Certified Kinesiologists andCertified Athletic Therapists for personalized exercise programs toassist return to sport. Our clinics employ many Registered MassageTherapists who are specialized to treat patients for therapeuticintervention or relaxation massage. In addition, the clinics couldnot operate efficiently without the effective contribution fromphysiotherapy assistants, accountants, and receptionists.For all your physiotherapy needs, Pro Physio & Sport MedicineCentres is the optimal source for your care. We are able to seeclients immediately with no waiting lists. For completerehabilitation, with a multi-disciplined team in one place, calltoday to find the nearest location to serve you. How can physiotherapy help you?If you have a problem with moving or performing certainactivitiesdue to pain, weakness, loss of balance or other reasons,thephysiotherapist will perform an assessment, make a diagnosiswherenecessary, and outline a management plan to optimiseyourabilities. Physiotherapists can help to manage acute injuriessuchas ankle sprains, knee, hip or shoulder injuries andchronicconditions like arthritis, back pain, diabetes and heartdisease.Physiotherapy is a therapeutic health profession concernedwithenhancing mobility and the quality of life of a person who mayhavebeen affected physically in one way or another.Physiotherapistsaim to help people gain as much movement andphysical independenceas possible so that they are able to resumetheir normal job orlifestyle, where possible. The app also containsdetails of basicphysiotherapy, benefits physiotherapy, typeexercisephysiotherapist, arthritis of the thumb, trigger finger,neck pain,low back pain, low back pain exercise, knee conditionprogram, kneepain exercises, bowed legs, burning thigh pain,compartmentsyndrome, deep vein thrombosis, limb length discrepancy,clubfoot,exercise and bone health. 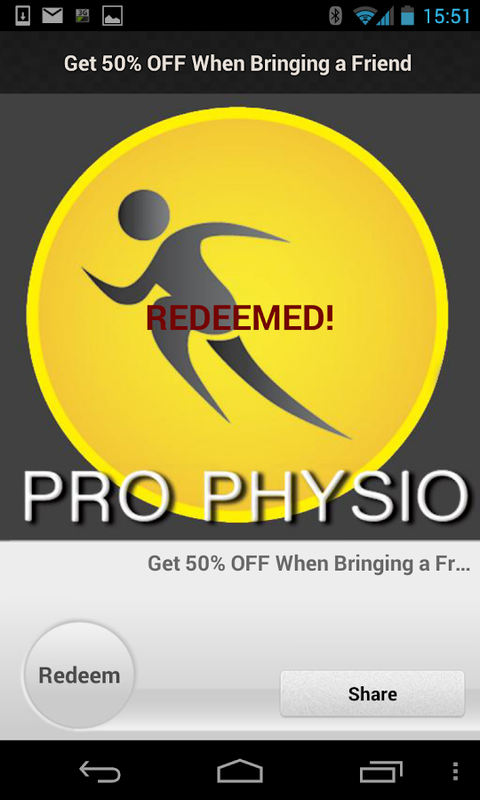 This app will guide you throughtherehabilitation process step by step to restore as much ofyourfunction as possible. Physiotherapy is also used aftersurgery,with the aim of speeding up recovery by getting a patientmobile assoon as possible. It also provides a useful baseline bywhichchanges can be detected – often before the patient is aware ofadegenerative problem. Even those without injury who aresimplyseeking to increase general health and fitness can benefitfromphysiotherapy. A physiotherapist can set you up with ahomeexercise program, facilitate community exercise sessions (orreferyou to an appropriate service), guide you with your organisedsportor gym program. Physiotherapy Dictionary is designed for physiotherapypractitioners and students to look up for definitions and terms inseconds. Physiotherapy Dictionary helps physiotherapy students intheir studies.Physiotherapy Practitioners Dictionary is designedfor physiotherapy and for students to look up definitions and termsin seconds. Physiotherapy Dictionary HELPS physiotherapy studentsin Their studies. The Connect Personal Exercise Program (PEP) app is dedicated toimproving the health and fitness of patients of Connect’sphysiotherapy services.The App was created by charteredphysiotherapists for people of all ages and types of injuries andprovides you with HD video exercises to follow as prescribed byyour physiotherapist.The app is designed to put you in control ofyour exercise programme and recovery; your prescribed exercises arestored within the app so you can complete your exercises anytimeand anywhere.The app features:• Exercise videos – Video exercisesand instructions personalised to you that have been prescribed byyour physiotherapist. Completing your exercises correctly willensure you recover faster from your injury.• Your statistics – Thisgives you a log of your personal exercise program and how you feltwhen completing your exercises.• Exercise diary – This logs thedays you have completed your prescribed exercise program and letsyou add notes and set reminders for you to complete yourexercises.• Injury prevention videos – A choice of most commonlyusing stretching videos to keep you in top condition. 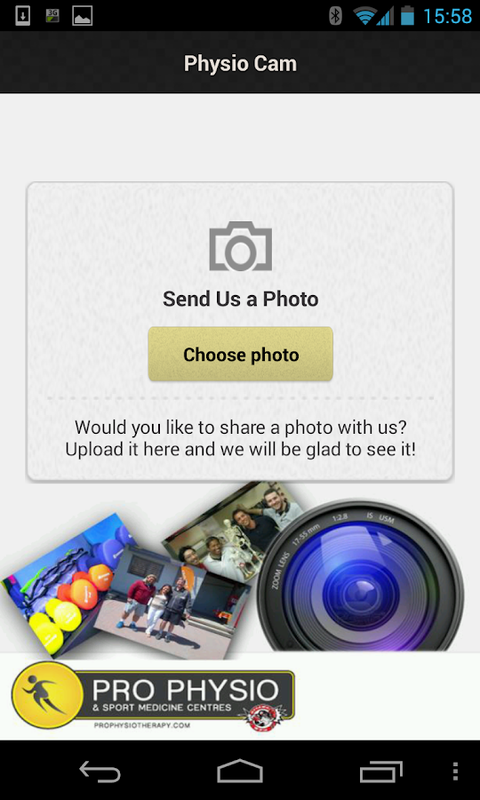 Download thefree Connect PEP app today! ● Need somewhere to find new job?● Need somewhere to find your nextCPD course?● Somewhere to connect with innovative new journals?●Perhaps browse a hot new blog?● Listen to podcast or even connectwith the latest topics on social media?PHYSIO TOOLBOX is theultimate companion for physiotherapists and undergraduates intheUK. 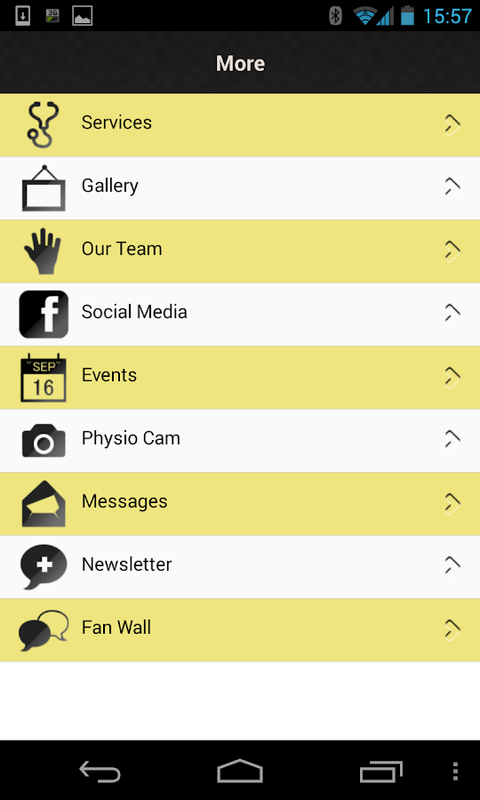 PHYSIO TOOLBOX brings all of your physiotherapy needs intoone simple, easilyaccessible place. That you can carry around withyou in your pocket.The team at PHYSIO TOOLBOX have created thisamazing resource that hosts all of your CPDneeds. Our single easyto use platform gives you access to our Journal club, Weeklypodcasts,learning tutorials, trending blogs, and live tweetchats.If that's not enough. You will have access to all the latestphysiotherapy jobs and CPD course,so you can take the stress out oflearning.Physiotherapy is an interesting and rewarding career, butcan also be challenging and stressful.We want to make sureenhancing your CPD is not one of them. PHYSIO TOOLBOX wasdesignedwith physiotherapists and undergraduates to ensure managing yourCPD is Stressfree, simple and enjoyable. "Anatomy: Atlas of Muscles" contains info about over 70 superficialmuscles. It is ideal for personal trainers, gym enthusiasts and allkind of health workers.The application has been built withsimplicity in mind. All the human body muscles are fully drawn andclearly visible, with a description (and origin and insertion).There is no better atlas of muscles! Physiotherapy Dictionary is designed for physiotherapypractitioners and students to look up for definitions and terms inseconds. Physiotherapy Dictionary helps physiotherapy students intheir studies.Features:- Over 300 definitions;- Search tool;- WorksOffline without internet;- Frequent updates;- Friendly and easy touse interface;- Add new words to the dictionary.